Ivy moved here after living at Whiteleaf. The two photos above date from when she lived here. 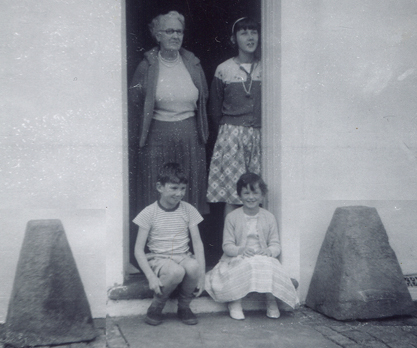 Ivy is shown with her three grandchildren in the front doorway. Susan Bennett stands behind Adrian and Cindy. Note the concrete bollards either side of the door. 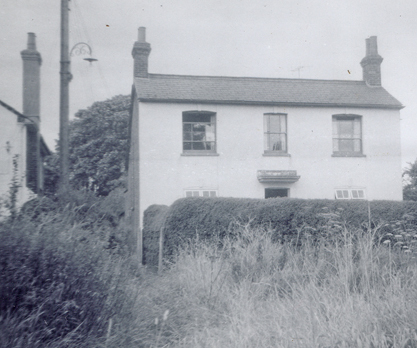 These are shown in the present day photo of the house below. 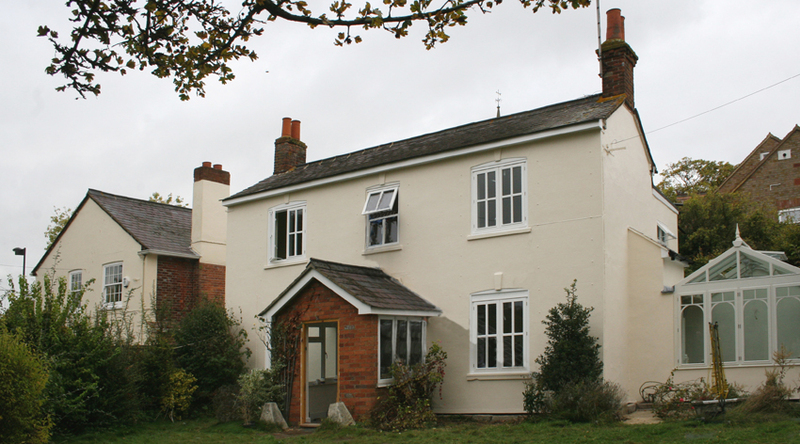 At some time a porch has been built on the front of the house and the bollards moved forward to their new position.